Alinea At Home: Bad dancing? Let me show you it. Bad dancing? Let me show you it. 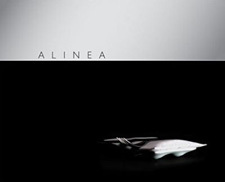 The Alinea at Home Share Our Strength fundraising campaign has officially ended. In the next few hours, I'll have the final total from the team at SOS. Watch your email this week to see if you're one of the lucky winners of the many generously donated prizes, including dinner for four at Alinea. Once all the winners have been notified and confirmed, I'll announce everything here on the blog. Forget John D. Rockefeller, Carol, you just might be the greatest philanthropist of all time. Congratulations on making $10,000. Totally awesome!! Actually, you were pretty damned good! Carol...you have made my year. This put the biggest smile on my face, and thank you for raising so much for a truly wonderful cause. Most awesome rendition of "Thriller" by a woman named Carol EVER!!!!!!! You rock. I am sad I missed this one. We'll catch up next time. Great initiative btw!